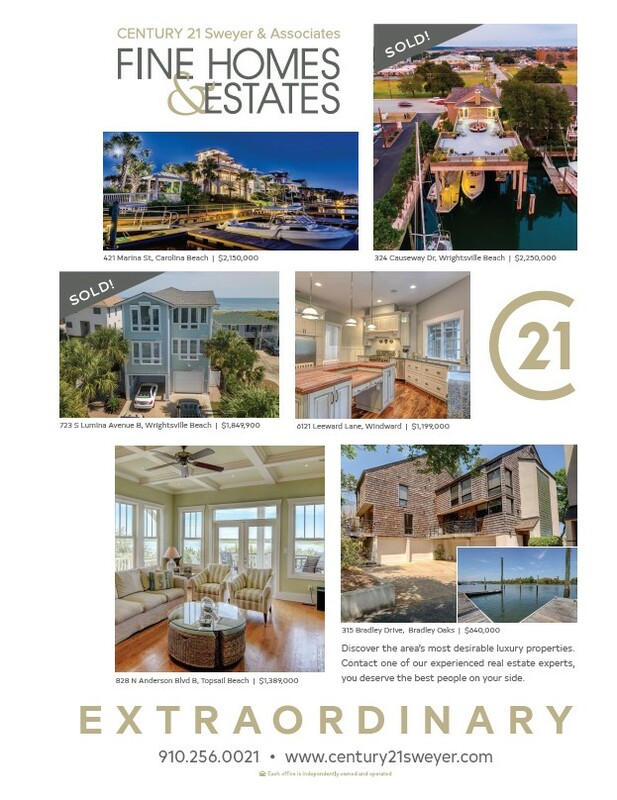 421 Marina St, Carolina Beach | $2,150,000 324 Causeway Dr, Wrightsville Beach | $2,250,000 6121 Leeward Lane, Windward | $1,199,000 315 Bradley Drive, Bradley Oaks | $640,000 Discover the area’s most desirable luxury properties. Contact one of our experienced real estate experts, you deserve the best people on your side. 723 S Lumina Avenue B, Wrightsville Beach | $1,849,900 828 N Anderson Blvd B, Topsail Beach | $1,389,000 E X T R A O R D I N A R Y 910.256.0021 www.century21sweyer.com SOLD! SOLD!